Computer bees may save the world! Well at least for two-thirds of the earth’s food. Because of bee-killing pesticides, many bee populations are at risk of becoming extinct. In order to continue the important role of the bee, plans of “robot bees” have started to arise. Many corporations have started working on this idea, but one of the more popular groups is Wal-Mart. Their bee drones plan to: “carry pollen from one plant to another, using sensors and cameras to detect the locations of the crops,” said Leanna Garfield, an environmental sustainability reporter at Business Insider. Mrs. Heath, an English teacher at Heritage High School, actually has her own bees. She was asked if she could see drone bees in the future of our ecosystem. “Sure, if you can pull it off, but here’s an idea: take care of the bees. Don’t be afraid because they don’t want to sting you, if they sting you they die! We should just be saving the bees instead of this,” commented Heath. While these bee drones may be a good idea temporarily, in the long run, making a bigger effort to actually save the bees will benefit the ecosystem greatly. Helping give them safe places to have colonies makes a big impact. “When you have all of those almond orchards [for the bees] and there’s nothing but almond orchards, it’s like feeding yourself one type of food, and that’s it. They’re not getting the nutrients and the protective abilities [they need],” said Heath. Heritage student, Mackenzie Price, who’s interested in raising bees in the future believes this whole idea is foolish. “I think that robot bees are detrimental to our ecosystem. What society are we living in where electronic insects are taking the place of natural insects? This is horrendous. I’m moving to Mars,” said Price. 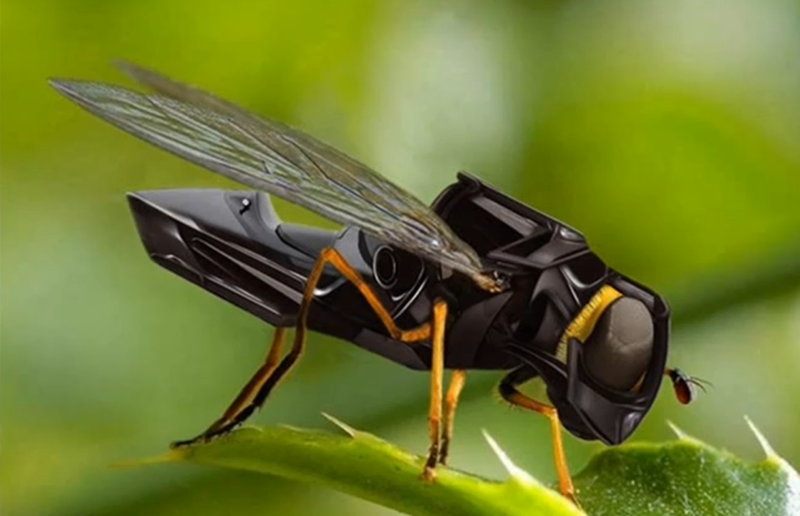 The future of robot bees is unsure and there’s a lot a skepticism about it. If even bees are being replaced by technology, what does the future hold for the rest of the living things in the world’s ecosystem?